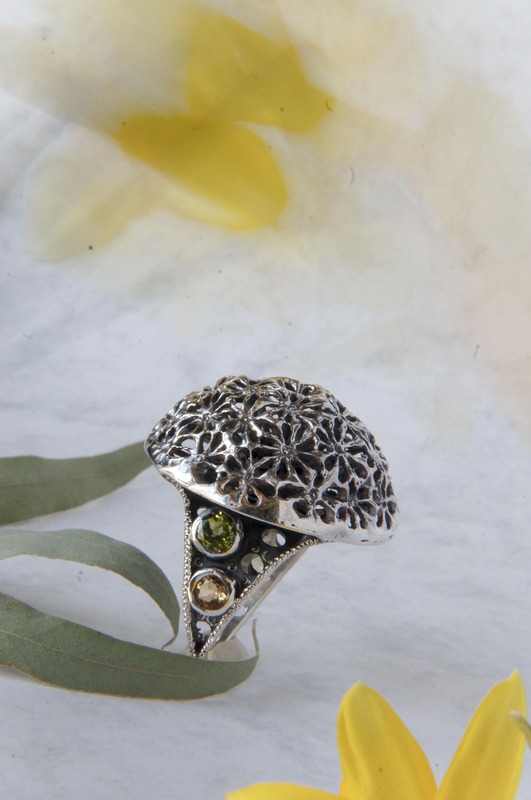 Dandelion ring was totally made by hands from recycled sterling silver and features filigree design with large cutout cupola and holed shank adorned with citrines and peridot gemstones. 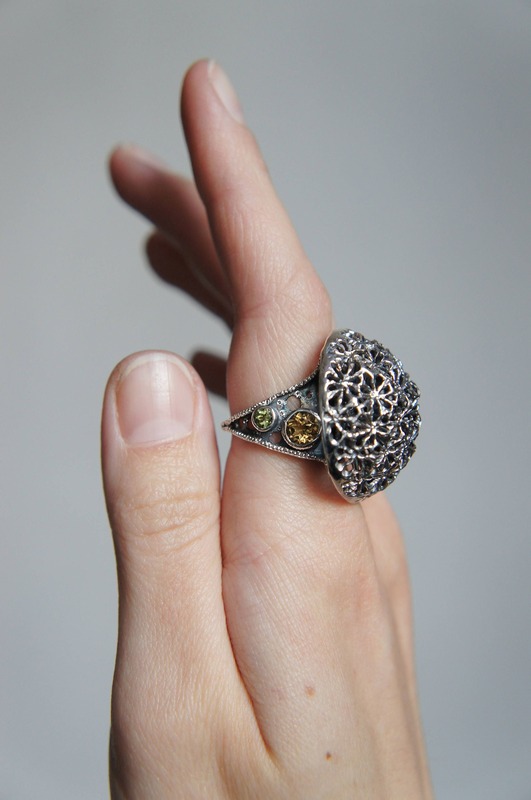 This unique jewelry piece will look eye-catching and unusual, but it's also comfortable to wear. 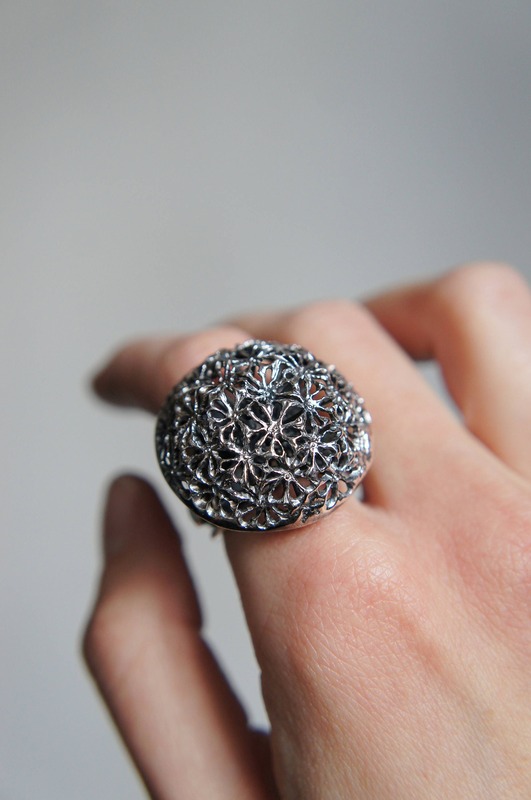 Large ring will please any unique jewelry lover. We can't make a copy of this ring, sorry. 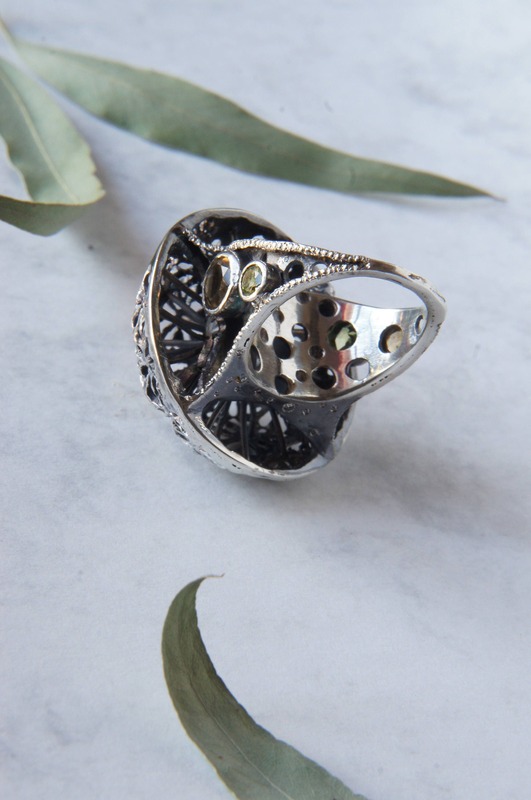 But if you are looking for exclusively made statement ring made from silver or gold, feel free to request a custom design with various stones. 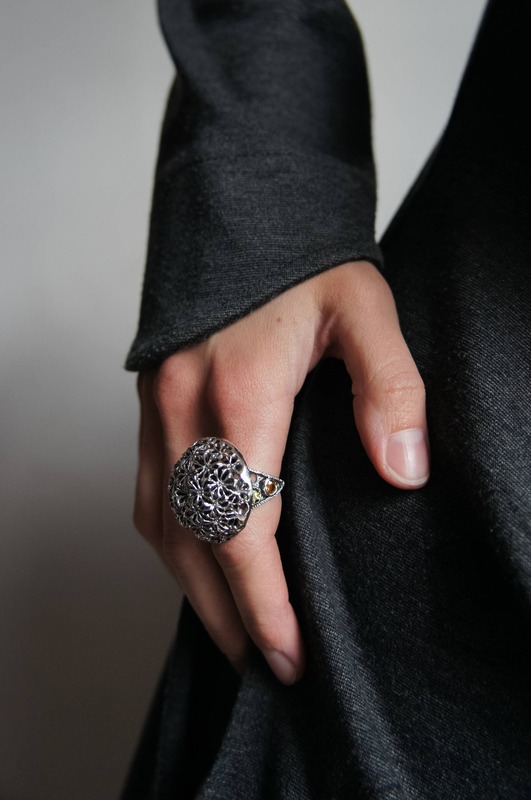 This multistone ring is 100% handcrafted work, we don't use 3D design or moulds, only ancient techniques which give a real touch of handmade work. We use only metal sheets and wire for our artisan creations. Then we sculpt the metal into different shapes using chasing and repousse technique, forming, cutting, engraving.. These are very long and not easy processes, but it is worth it!